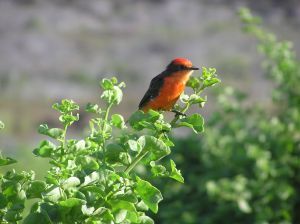 Pinta, like the other Galapagos islands, is home to many birds and fish. Highlights include the Flycatcher, Red-lipped Batfish, ever-present sea lions, sea turtles, pelagic fish species, and Moray Eels. Pinta Island is also home to Mockingbirds, Swallow-tailed Gulls, Marine Iguanas and Sparrow Hawks. It is one of the few islands in the Galapagos where both Galapagos Sea Lions and Galapagos Fur Sea Lions can be found. For more about these two captivating creatures, see my post Galapagos Sea Lions; They are Definitely Not Seals. Pinta is a paradise for scientists studying Galapagos Flora and the symbiotic relationship between flora and certain Galapagos wildlife, particularly the Galapagos Giant Tortoises. 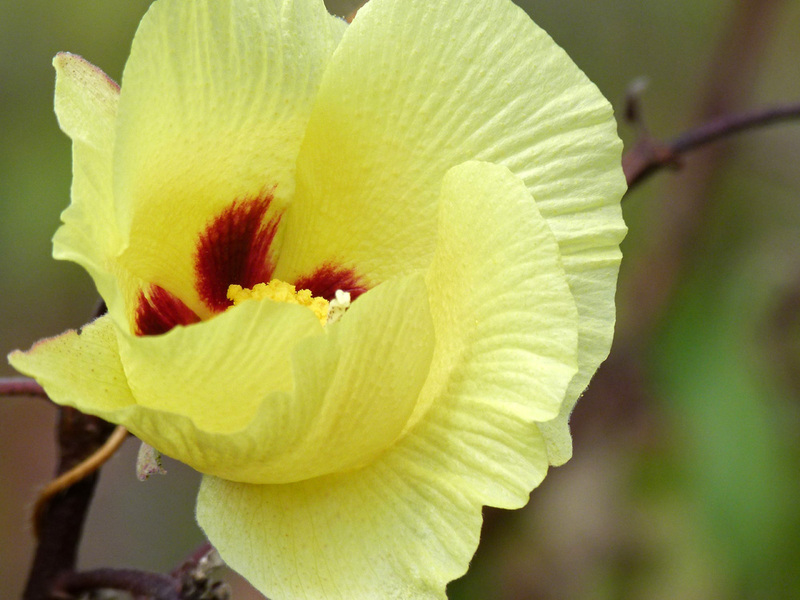 180 plant groups have been identified on Pinta Island, meaning plants classified as being in the same category based on their features and genetic matching. Not only does that number itself represent an extreme diversity, but just as remarkable is that of these, 1/3 of the species are found only in the Galapagos; 19 are found only on a small number of the islands; and two are endemic to Pinta. This diverse plant life was able to develop largely because Pinta is so isolated and remote. For many years, it was almost entirely undisturbed by outside intruders - human or otherwise. The exception were the pirates who invaded not only Pinta, but many of the Galapagos Islands, taking and destroying the Giant Galapagos Tortoise populations along the way. The story of how the Pinta Tortoise came to be extinct is well known. That said, however, until the 1950’s, when fishermen brought goats to Pinta, it was not subjected to invasive species that were brought to other of the Galapagos Islands, often with disastrous environmental results. 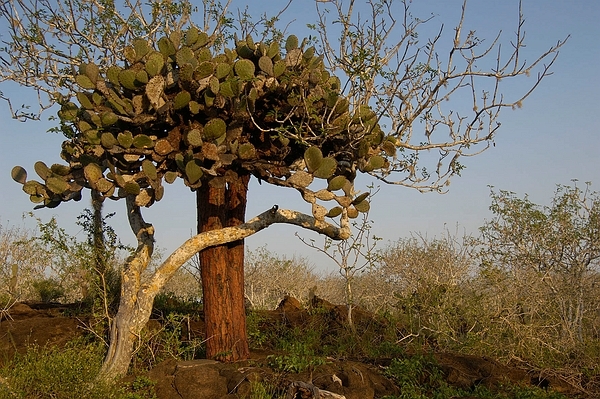 Goats ran rampant on Pinta and sought to take their toll on the extraordinary plant life. However, in 1990, the Galapagos Conservancy made a concerted effort to eradicate the goats and now reports that the grazing was successfully checked before any of Pinta’s plant species became extinct. The remaining vegetation recovered rapidly. But, Pinta teaches another story. With the plant life in full rejuvenation mode, there started to be indications that some of the endemic plant species that require substantial light, such as the Darwin Aster, Galapagos Cotton, and Galapagos Passionflower, could be negatively affected by the unchecked regeneration of Pinta’s other vegetation. Scientists, as is typical in Galapagos, began to study what had changed. In the past, there was room for all the species of flora to grow freely. How could some be overrunning the others? The answer became obvious. Giant Tortoises, once a huge presence on Pinta, had died out. They were plant eaters and kept shade-producing plants from overtaking and blocking those that need greater sunlight. With no Giant Tortoises, the balance was destroyed. In other words, Pinta's plant life and its tortoises share a unique and important co-dependency. Thus, just as the tortoises rely on the diverse plant life for sustenance, the plant life depends on them for regeneration and growth. Giant tortoises have a major impact on the structure and composition of their environment. They can maintain open areas within forests and dense vegetation by grazing and by simply moving through their environment. They also play an important role in the dispersal and germination of seeds that they consume and subsequently deposit. Pinta Island is engaged in an important regeneration of its giant Galapagos Tortoise population. 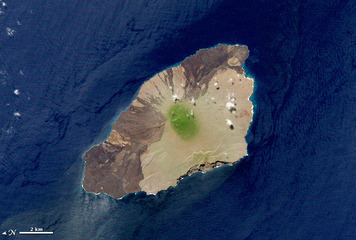 Pinta was once heavily populated by a unique species of tortoise. From 1906 (when three tortoises were discovered and taken into captivity for study and preservation) until 1971, no one saw a tortoise on Pinta. Then, in 1971, a scientist studying snails on Pinta Island saw a solitary tortoise in the distance. 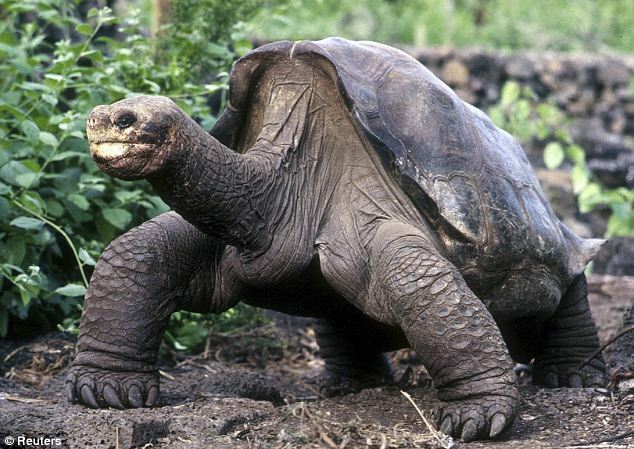 The Galapagos National Park authorities searched high and low for the solitary tortoise and finally found the icon who became known as Lonesome George. Thereafter, the attempts to find a suitable mate for George so as to propagate the species became legendary. To everyone's great sadness, in June 2012, George died without progeny, making the Pinta species extinct. You can read all about Lonesome George in two of my earlier posts: Lonesome George, Part One and Lonesome George, Part Two. Now though, thanks to concerted efforts by the Galapagos Conservancy to sustain and propagate all of the known species of Galapagos Tortoise, tortoises once again inhabit Pinta Island. They are not the original endemic species, but very closely related. Bred in captivity, 39 Giant Tortoises were released on Pinta Island in 2010. 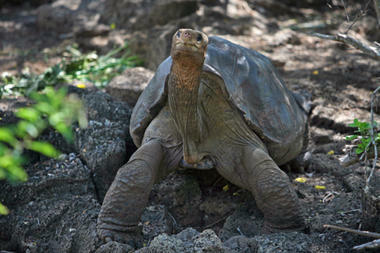 They are being studied and represent a highlight in the regeneration of lost species in Galapagos. They are also providing the balance nature needs to maintain the diverse plant life of Pinta Island. You may not get to visit Pinta during your sojourn to the Galapagos Islands, but it is an important step in the evolutionary change always occurring in this island paradise. In all, Pinta is a marvel and a study of nature’s wonder all to itself.